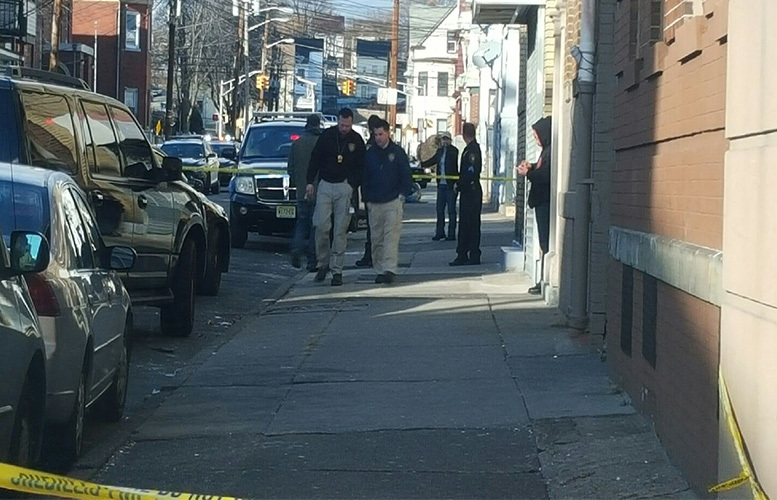 The Passaic County Prosecutor’s Office is investigating a police-involved shooting on Martin Street on Friday afternoon. Police responded to a domestic violence incident on Martin Street between 20th and 21st avenues at around 1 p.m. An officer fired shots at an allegedly armed man wounding him, according to police sources. The armed man allegedly opened fire on the police officer. The police officer was not hurt, officials said. The wounded man was rushed to St. Joseph’s Regional Medical Center for treatment. THIS REPORT HAS BEEN UPDATED HERE: Prosecutor: 1 civilian injured in Paterson’s police-involved Martin Street shooting.